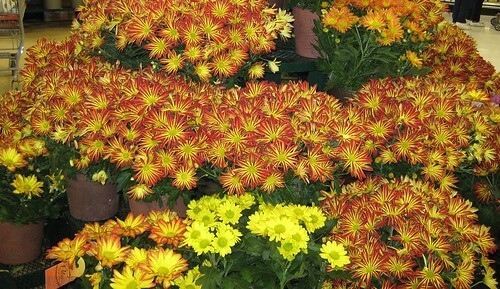 My entry for this week are these lovely chrysanthemums or mums taken from the store. A favorite decorations in our house during Halloween. Thanks to Luiz Santilli and Denise BC for hosting the site. If you love to participate feel free to join and don't forget to add your URL in the auto link. bought one of those last week for my step-mother. Lovely photo. I love autumn coloured 'mums. Nice picture. They are beautiful, typical autumn flowers! Nice picture! They are favourite fall flowers in Ontario gardens! Lovely colours in your selection.